Please submit your abstract using the online form provided on the website. 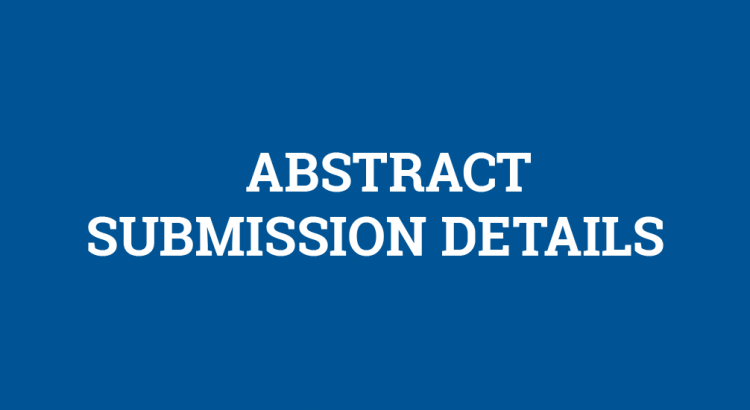 The abstract should include the following sections: Title, authors, presenter(s) and a description (maximum of 250 words) of the background and context, methodology, findings and impact /conclusions. Presented work should follow a scholarly and methodological process (please refer to this presentation for more information http://casn.ca/wp-content/uploads/2014/12/3OverviewofBoyersModelSA.pdf ). Please indicate if the study involves human subjects and whether it has received Research Ethics Board approval. Also please indicate your preferred presentation format. The deadline for submitting abstract is Feb 1st 2017. A- 20 minutes oral presentation (+ 5 min question period): for completed work only. Please submit your abstract using the online form provided on the website. The abstract should include the following sections: Title, authors, presenter(s) and a description (maximum of 250 words) of the background and context, methodology, findings and impact /conclusions. Presented work should follow a methodological process and be scholarly. Please indicate if the study involves human subjects and whether it has received Research Ethics Board approval. Also please indicate your preferred presentation format. A- 20 minutes presentation: for completed work only. In the interest of providing a diversity of perspectives, the abstract review committee will accept a maximum of 1 abstract per author as presenter. Should abstracts be submitted by several authors, another presenter will be required for each subsequent abstract. Responses to abstract submissions will be sent out March 31. Authors will be requested to confirm presence at the conference to present their abstract within a week of receiving confirmation.